Samantha is one of those rare people that knew what they wanted to do from a young age. From as early as she can remember she was watching documentaries on the world around her and telling her family all about it. She would even go so far as to pick up the local fauna and show them. Most of the time this wasn’t a problem, except for the odd occasion when the fearless youngster would pick up a snake or other poisonous animal. 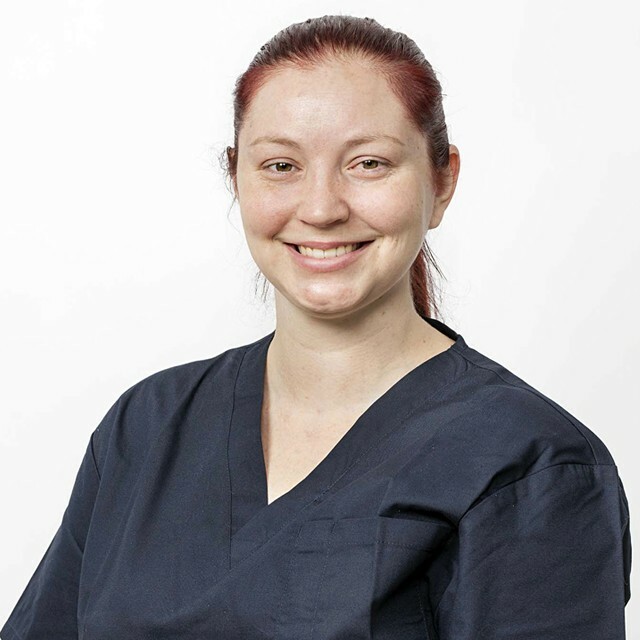 Samantha completed her Veterinary degree at the University of Queensland in 2012 where she spent half her time enjoying the state of the art facilities at the Gatton veterinary campus. She has since moved to Melbourne and spend the 5 years in between working as a small animal veterinarian in both corporate and private practice. Samantha has special interests in diagnostic imaging, particularly ultrasonography and patient care (anaesthetics and analgesics). Outside of work, she has two pets at home; A saluki named Itachi and a netherland dwarf rabbit named Blueberry. Itachi is very fond of her, however Blueberry has bonded with her husband and often neglects to give Sam any attention. Something her husband finds no end of delight in. Sam spends her downtime listening to Kpop and reading novels.